Palm oil has increasingly become the go-to oil for companies due to its low cost, including production and refinement, and can be found in diverse items of cosmetics, toiletries, and food. Take a look at the ingredients list of any number of products in your home and you are likely to find palm oil, which is often listed as “palm kernel oil” or “retinyl palmitate” (although it is sometimes listed in terms that do not include the word “palm” such as sodium lauryl sulphate, among others). However, the production of the oil palm fruit has taken a heavy toll on wildlife, local communities, and the environment. Approximately 90% of the world’s palm oil is produced in Indonesia and Malaysia, home to diverse species of wildlife, including the sun bear (Helarctos malayanus). Scientists suspect that the global sun bear population has decreased by more than 30% since the 1980s. Much of this is due to habitat lost to oil palm cultivation and logging, among other causes. Between 55-59% of oil palm plantation expansion has occurred at the expense of primary and secondary forests, a favorite sun bear habitat, in Malaysia since 1990. And between 1990 and 2005, Indonesia lost a forested area approximately the size of Montana to plantations. Scientists believe that it is unlikely that sun bears could survive in the monocultured plantations of oil palm fields. What’s more, a recent report by the World Wildlife Fund-Indonesia indicates that legally protected habitat in the form of national parks may not exist in reality–oil palm plantations have illegally expanded into Sumatra’s Tesso Nilo National Park, which is a supposed safe haven for sun bears. Expansion, production, and refinement also significantly contribute to climate change through the release of greenhouse gas emissions, most notably by the conversion of forest and peatland to plantations. Measures intended to improve industry sustainability, such as the Roundtable on Sustainable Palm Oil (RSPO), have been found ineffective, because noncompliance by members is quite common. Sun bears frequently lose their lives in conflict with farmers, as they may often cause damage to oil palmfruit trees by climbing or nesting in trees. Damage to coconut trees has led some farmers to retaliate lethally, even though it is illegal to kill sun bears. Similar occurrences may occur with oil palm trees, if not already. Due to the numerous damaging effects that oil palm expansion has on sun bears and other wildlife, the environment, and local communities, the Great Bear Foundation strongly encourages you to be a conscious consumer, and take the palm oil challenge. The next time you are at the supermarket, check ingredients and opt for palm oil-free options. It may take a bit of patience since palm oil is so ubiquitous, but the options are out there! The AOCs Lipid Library. “Commodity Oils and Fats – Palm Oil.” March 2013. Accessed online July 11, 2013 http://lipidlibrary.aocs.org/market/palmoil.htm. Sarmidi, Mohammad R., Hesham A. El Enshasy, H. and Mariani Abdul Hamid. 2009. “Oil Palm: The Rich Mine for Pharma, Food, Feed and Fuel Industries.” American-Eurasian Journal of Agricultural and Environmental Sciences 5(6): 767-776. Fredriksson, Gabriella, R. Steinmetz, S. Wong, and D.L. Garshelis (IUCN SSC Bear Specialist Group). 2008. “Helarctos malayanus.” IUCN 2013. IUCN Red List of Threatened Species. Version 2013.1. Accessed online July 4, 2013 www.iucnredlist.org. Butler, Rhett A. 2008. “An Interview with Sun Bear Expert Siew Te Wong: Habitat Destruction, Logging, Wildlife Trade Drives Sun Bears toward Extinction.” Mongabay 25 Sept. Accessed online July 12, 2013 http://news.mongabay.com/2008/0925-wcn_wong_interview.html. Augeri, Dave. 2005. 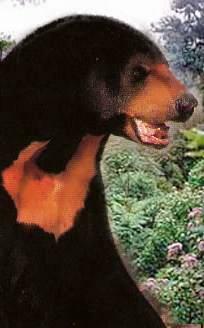 “On the Biogeographic Ecology of the Malayan Sun Bear.” PhD Dissertation. Wildlife Research Group, Faculty of biological Sciences, University of Cambridge. Nazeri, Mona, Kamaruzaman Jusoff, Nima Madani, Ahmad Rodzi Mahmud, Abdul Rani Bahman, and Lalit Kumar. 2012. “Predictive Modeling and Mapping of Malayan Sun Bear (Helarctos malayanus) Distribution Using Maximum Entropy.” PLOS One 7(10): e48104. Butler, R.A., L.P. Koh, and J. Ghazoul. 2009. “REDD in the Red: Palm Oil Could Undermine Carbon Payment Schemes.” Conservation Letters 2:67-73. Koh, L.P. and D.S Wilcove. 2008. “Oil Palm: Disinformation Enables Deforestation.” Trends in Ecology and Evolution 24(2): 67-68. Koh, L.P. and D.S. Wilcove. 2008. “Is Oil Palm Agriculture Really Destroying Tropical Biodiversity?” Conservation Letters 1:60-64. Linkie, Matthew, Yoan Dinata, Agung Nugroho, and Iding Achmad Haidir. 2007. “Estimating Occupancy of a Data Deficient Mammalian Species Living in Tropical Forests: Sun Bears in the Kerinci Seblat Region, Sumatra.” Biological Conservation 137: 20-27. Wicke, Birka, Veronika Dornburg, Martin Junginger, and Andre Faaij. 2008. “Different Palm Oil Production Systems for Energy Purposes and Their Greenhouse Gas Implications.” Biomass and Bioenergy 32(12): 1322-1337. Laurance, W.F., L.P. Koh, R. Butler, N.S. Sodhi, C.J.A. Bradshaw, J.D. Neidel, H. Consunji, and J.M. Vega. 2010. “Improving the Performance of the Roundtable on Sustainable Palm Oil for Nature Conservation.” Conservation Biology 24(2): 377-381. Fredriksson, Gabriella. 2005. “Human-Sun Bear Conflicts in East Kalimantan, Indonesian Borneo.” Ursus 16(1): 130-137.